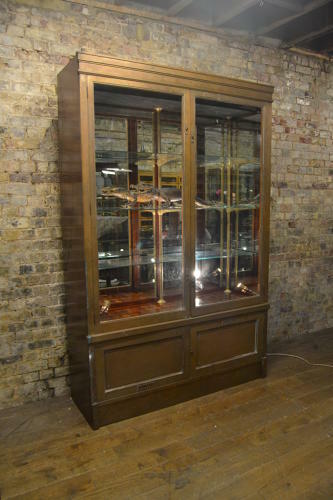 This large bronze display cabinet was originally taken from the foyer of the Savoy hotel. Dating from the late 1920s, it is very solid and secure - looking art deco. Unpolished original bronze finish, with parquet floor. Can be polished if required. Locks on the doors.